Three years ago I road tripped around New Zealand for a month with my brother. Within days of arriving in New Zealand, it had instantly become my favorite country. And I’m happy to report back that it’s still holding the #1 spot! While we had an extraordinary experience, we couldn’t help but notice all of the campervans inching their way along the backroads taking in the sites. We thought to ourselves, “What freedom!” and said that next time we visited New Zealand, we’d have to do it via campervan. While my brother sadly wasn’t with me this time around, I did have a week-long date with JUCY in the backcountry of New Zealand! You know, despite having visited 108 countries across all 7 continents, I’ve never actually done a campervan trip and… in all honesty, I wasn’t sure what to expect. 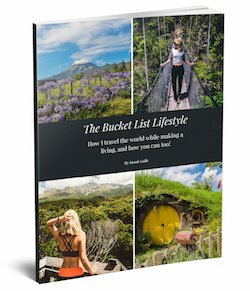 I’ve specialized in luxury travel for the last three years, so the idea of having a house on wheels for a week was a little nerve-wracking for me. 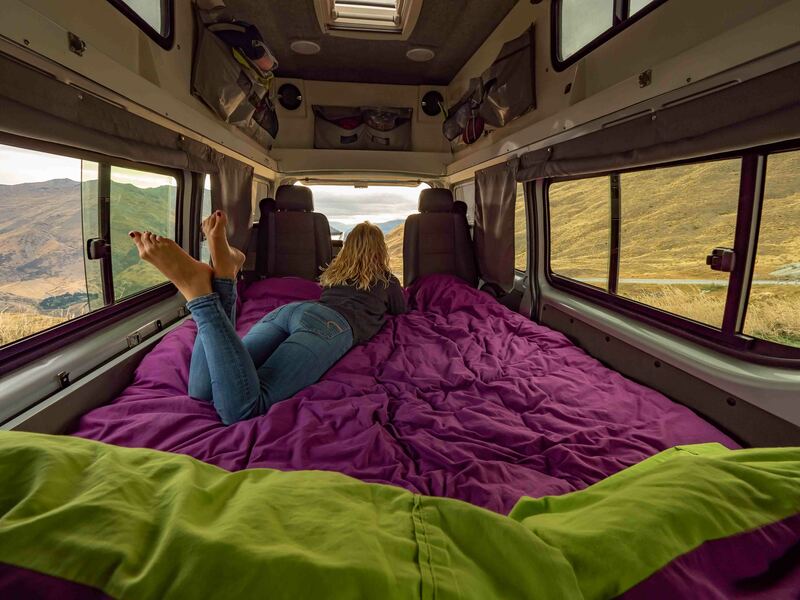 But, I knew that I wanted to do New Zealand “right” and allow myself the freedom and flexibility that a campervan offers. 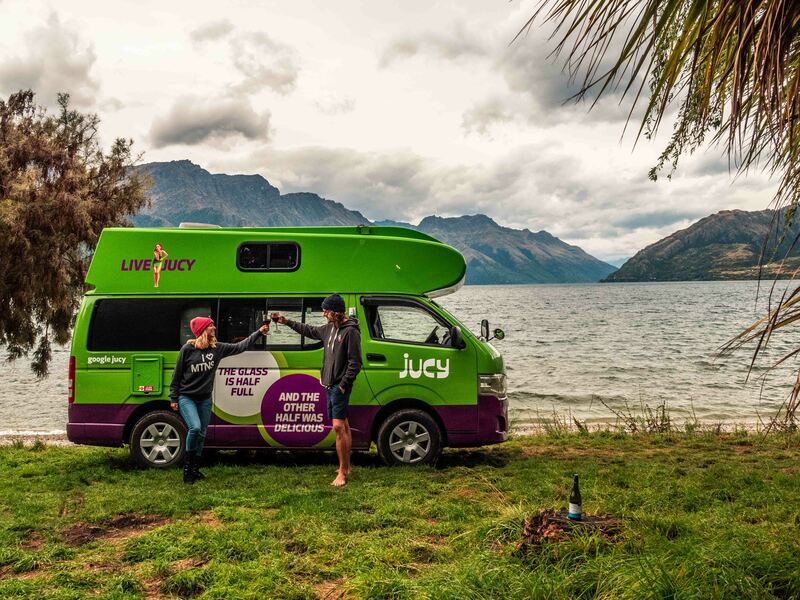 Usually when I’m planning an upcoming trip, I need to look up the brands that would be the best fit for me; but when it came to planning New Zealand, I instantly remembered the bright green and purple campervans we saw dotted around the country, and remembered JUCY, the perfect campervan company for enthusiastic adventurers like myself! But, unbeknownst to me, JUCY isn’t just a campervan company! They also have hotels, car rentals, and cruises, so we decided to check out all of their offerings! JUCY has an array of campervans available ranging from regular vans to self-contained vehicles. 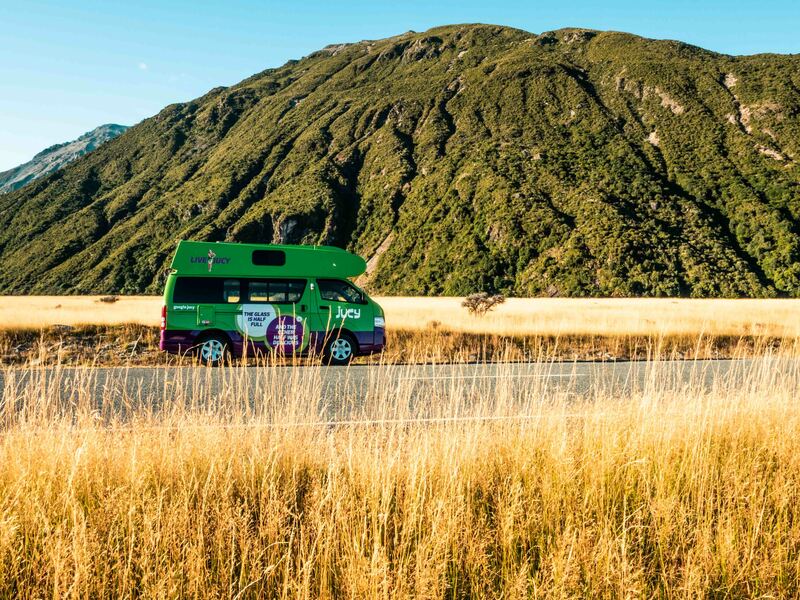 It’s important to note that if you plan to freedom camp in New Zealand, it’s absolutely necessary to have a self-contained vehicle and do your research (I highly recommend downloading the app “Campermate” to assist you). We went with JUCY’s Campervan “Condo,” which can sleep up to four people. While we were only two, we wanted that little bit of extra space … especially because it was my first campervan trip! And, I must say, it was absolutely perfect. The JUCY Campervan “Condo” wasn’t too big, nor too small — it was easily parked in regular parking spots, so it never felt too bulky. The JUCY Condo came equipped with full bedding (pillows, sheets, duvets), towels, dish rags, and all kitchenware … even wine glasses (and an opener too!). There’s a fridge that runs 24/7 as well as a 55L water tank. This is what enabled us to cook our meals in the most stunning of locations and stop for a bite anytime we wanted. Other than that, there was ample storage space and speakers throughout the van to play our favorite tunes. 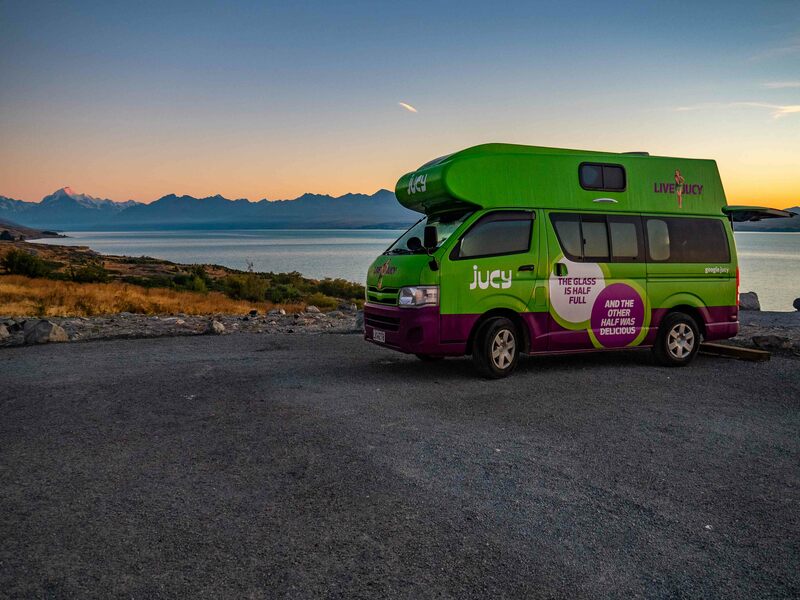 We took our JUCY Campervan from Christchurch to Mt. Cook, Wanaka, Queenstown, Fiordland and Milford Sound and it was the perfect vehicle for this portion of our trip. It’s incredible to be able to wake up to the sun reflecting off the glacial lakes, eat dinner with the sun setting over the mountains, and fall asleep with the Milky Way truly overhead. It’s difficult to have these experiences when you’re limited to a hotel room. As part of our campervan trip, we journeyed down to Milford Sound (which is about 4 hours from Queenstown, as you have to go around the mountain range). The best way to experience the magical Milford Sound is via cruise. While I visited Milford Sound on my last trip to New Zealand, I discovered this time around that JUCY has an awesome Premium Catamaran that takes you out to the “eighth world wonder.” With over 200 days of rain a year, my luck seemed just about as good as last time … as it was absolutely pouring the day that we had planned to take our cruise. 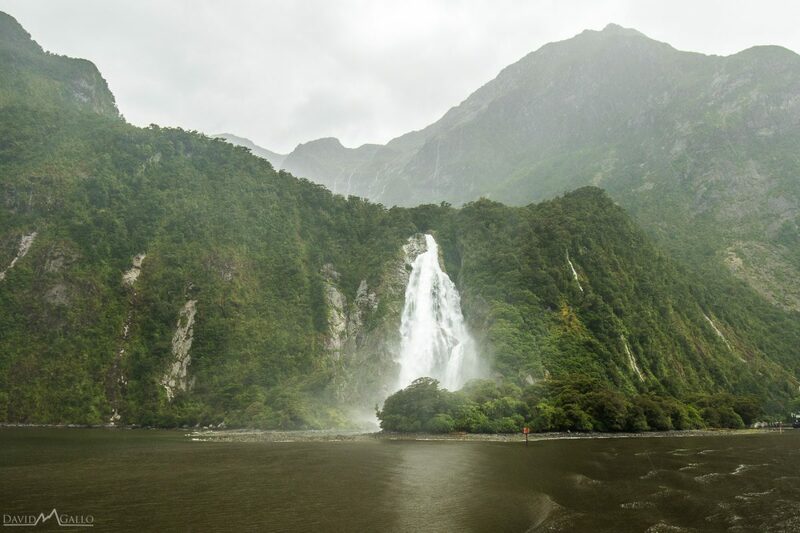 Luckily, Milford Sound is absolutely stunning in the rain, as all of the karsts turn to flowing waterfalls. Since we were spending so much time in our JUCY campervan, I knew that I’d want the convenience of a hotel room at some point. 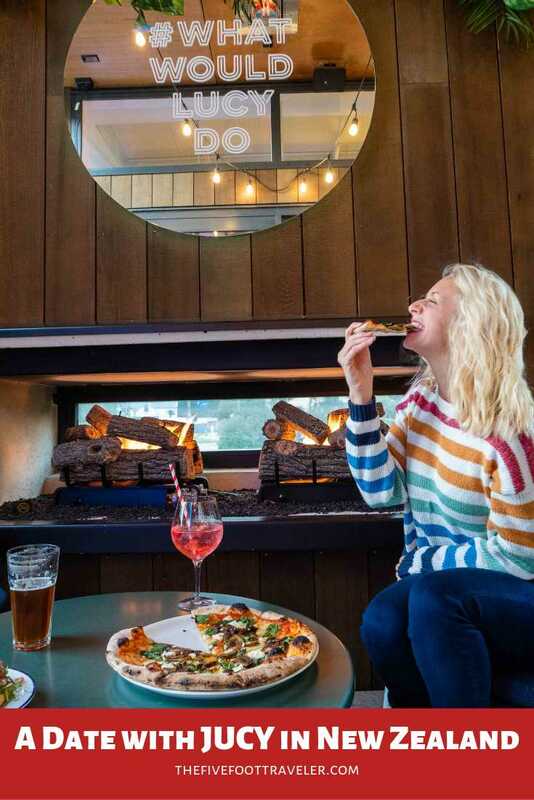 Lucky for us, JUCY has two hotels as part of their JUCY Snooze brand: Snooze Christchurch and Snooze Queenstown. We began our trip at the Snooze Christchurch, which was conveniently only a 10-15 minute walk from the airport! They also have a complimentary shuttle from the airport to JUCY Snooze that runs from 8am to 1:30am, which we found incredibly convenient since we arrived at 11pm on our first day. And get this – it’s an automated check-in process. You just type your name or reservation number into the kiosk and voila, out pops your room key! I found this to be incredibly convenient and innovative. The rooms are cute and cozy, with en suite bathrooms and motivational mottos on the bedside walls. “Why stop dreaming when you wake up” was written next to our bed and was a great reminder to get up and start living out our daydreams. After our wonderful week in our JUCY Campervan “Condo,” we dropped off our campervan and stayed at JUCY Snooze in Queenstown. It was the perfect way to break up our two-week trip, as we enjoyed some pretty epic views in the heart of Queenstown. 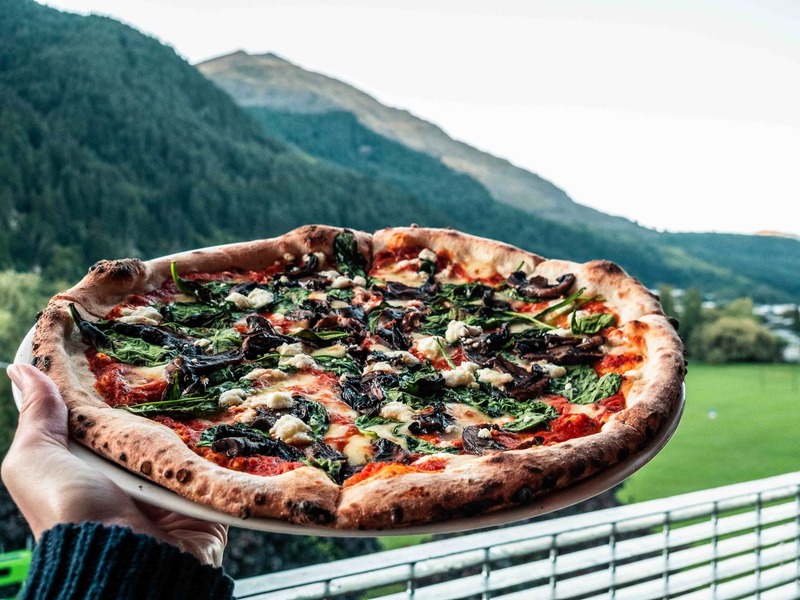 JUCY Snooze Queenstown also owns and operates Miss Lucy’s, the best pizzeria in Queenstown, so naturally, we had to check it out! And boy were they right! We tried two different, mouth-watering pizzas: (1) Mushroom, Truffle Oil, Goat Cheese, and Spinach (Vegetarian) and (2) Beetroot Hummus Base, Kale, Roasted Red Capsicum, Avocado, Balsamic Nuts & Seeds, and Chimichurri Sauce (Vegan). We loved the truffle oil pizza so much that we actually ordered it two nights in a row! 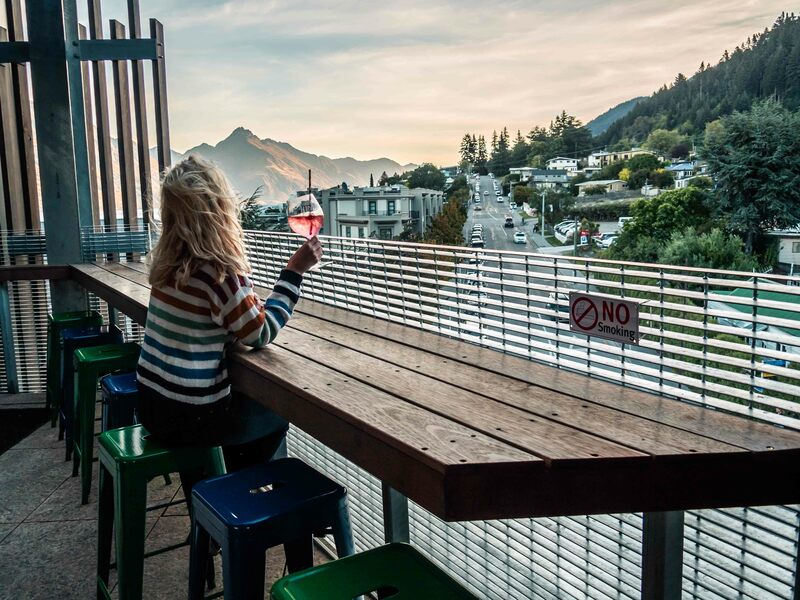 JUCY’s Miss Lucy’s serves breakfast, brunch, and dinner, and offers fantastic mountain views while you eat and relax overlooking Queenstown. I love that each JUCY Snooze has awesome common areas, whether it’s the bean bags, hammocks, and benches in Christchurch or the rooftop Miss Lucy’s bar and lounge in Queenstown. After departing JUCY’s Snooze Queenstown, we actually switched out our campervan for a JUCY Car Rental. We knew that our last few days in the country would be less active and more relaxing, so we didn’t feel the need for the campervan; we knew that the car rental would be plenty sufficient…and it surely was! We took our JUCY car rental to Wanaka, Lake Pukaki, and then over to the Akaroa Peninsula. The drive was easy, the car was comfortable, and we still had the freedom of getting from Point A to Point B on our own time, unlike when using public transportation. Anyone that knows me knows that I absolutely LOVE road trips and try to explore by car whenever possible, and New Zealand is clearly no exception. In fact, New Zealand tops the list as far as stunning road trips go! And with that, we wrapped up our date with JUCY in New Zealand! From campervans to cruises, snoozes, and car rentals, JUCY surely delivered everything we could have wanted and then some. Thanks JUCY! 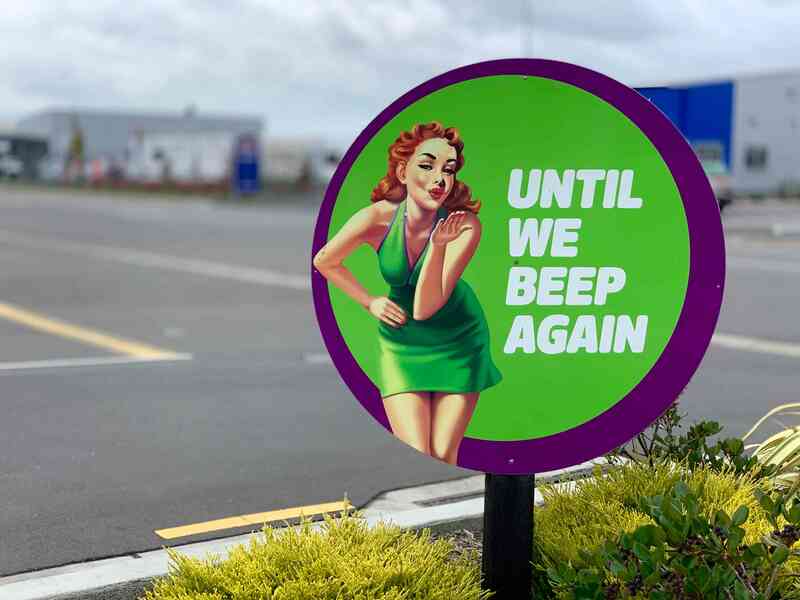 Until We Beep Again! Want to go on a Date with JUCY too?